This game was created as a semi-clone of "babysmash" which in turn was a port of "alphababy", a mac program. babysmash was for windows, so I created babytux, which is cross-platform! It was written on an ubuntu box, but, as it is written in python, it can be run on many different operating systems. 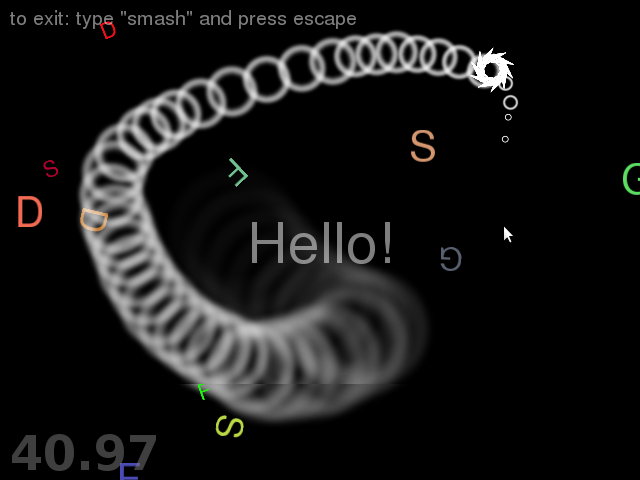 One of the main features of this game is that it is hard to exit; you must type 'smash' and then press , all consecutively. The purpose of this is to prevent babies from accidentally exiting and destroying your computer. Why does the download link no longer work? I realize there's no development on this project, but I'd at least like to be able to download the most recent release. If anyone has a copy of the tarball, can you please respond? Thanks.